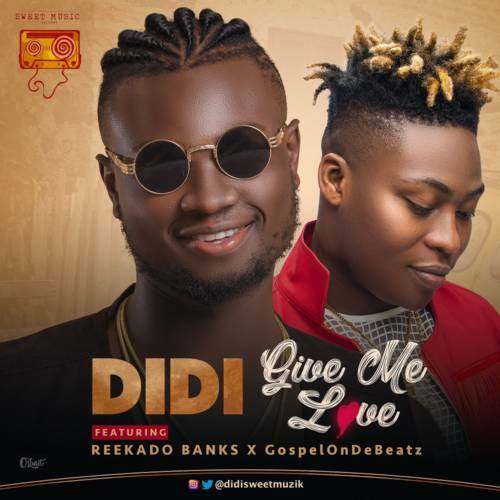 See Didi x Reekado Banks – Give Me Love (Prod by GospelOnDeBeatz) brand new tune. DIDI isn’t surrendering at any point in the near future and is back with a mad song with Mavin’s Reekado Banks titled “GIVE ME LOVE”. This hit was delivered by the mind behind some conspicuous hits in Nigeria GospelOnDeBeatz. Going with the sound is a clear and special video shot by Clarence Peters.